The good news is that Americans are living longer and spending more years in retirement than ever before. However, funding retirement is a fast approaching crisis. On this week’s WEALTHTRACK we have an exclusive interview with Financial Thought Leader and legendary investment consultant, Charles Ellis, who tackles America’s greatest domestic financial challenge in a new book, Falling Short: The Coming Retirement Crisis and What To Do About It. In July of 2012, European Central Bank President, Mario Draghi famously said that he would “do whatever it takes” to preserve the Euro, then under siege from financial and credit problems in “peripheral” European countries such as Spain and Italy. After his pronouncement and without lifting a finger, European bond markets rallied and interest rates dropped. Today, Mr.Draghi rode to the rescue of the Eurozone again to fight dual challenges of weakening European economies and deflation. He announced a bigger than expected so called “quantitative easing” program, or QE, a bond buying program of 60 billion euros ($69 billion) a month of various public and private euro-area debt issues. It’s set to last 19 months until September of 2016, but once again the inference was it would last as long as it takes. According to the economic team of last week’s WEALTHTRACK guest, Ed Hyman of Evercore ISI, the ECB action is the 502nd easing move by central banks over the past three-plus years! What is the significance of this one? Is there any evidence it is likely to work, and stimulate both inflation and economic growth? What are the ramifications for investors and how can investors take advantage of it? Those are some of the questions I just put to veteran international economist and strategist Nick Sargen in a conversation, which is available on www.wealthtrack.com. Sargen is the Chief Economist and Senior Investment Advisor at Fort Washington Investment Advisors, the asset management arm of Western & Southern Financial Group, which has close to $50 billion under management. 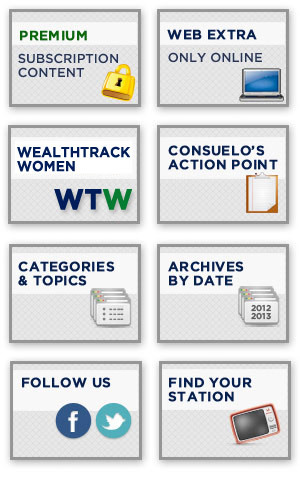 On WEALTHTRACK itself however, we are sticking to our mission of helping individuals build and protect their wealth over the long term. We are focusing on retirement. Funding retirement is a huge national challenge in this country and a fast approaching crisis. Americans are living longer and spending more years in retirement than ever before. According to a recent report on mortality from the Centers for Disease Control, a woman who turned 65 in 2012 can expect to live another 20 and a half years on average to 85 and a half. A 65 year old male in 2012 will live another 17.9 years on average to 82.9. The golden years have never lasted this long, nor been so difficult to finance. Aside from longevity, many other factors that used to contribute to a secure retirement have changed. Up to thirty years ago about half of the private sector work force had defined benefit pensions for life, managed and guaranteed by companies, as well as health benefits. Now the vast majority of private sector workers are managing their own retirement funding through defined contribution plans, such as 401ks. And they are doing so much less effectively, saving far less than they need. In addition they are paying an ever increasing portion of their health benefits. In 2013 the median household approaching retirement with a 401k or IRA had $111,000 in its retirement account. If a retired couple withdraws the widely recommended 4% of that amount a year, they receive only $400 a month of inflation adjusted income, usually their only source of income aside from Social Security. Unfortunately, Social Security is contributing less to retirees’ income than it has in the past for several reasons, including the phasing in of already legislated budget cuts, increases in Medicare premiums, which are deducted from Social Security benefits, and taxation of those benefits. In 1985 Social Security replaced about 40% of the typical workers pre-retirement income. If that worker had a non-working spouse the replacement rate jumped to 60%. It is now estimated that Social Security will replace only 31% of the average worker’s pre-retirement income by 2030. Despite all of these challenges, this week’s Financial Thought Leader guest believes retirement is a solvable crisis on both the individual and societal level. 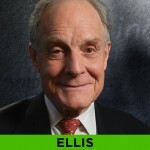 He is Charles Ellis, a legendary financial consultant, founder of Greenwich Associates, an international business and investment strategy consulting firm, business school Professor at both Harvard and Yale, and author of 16 books including the investment classic, Winning the Loser’s Game. He is also the co-author of the recently published Falling Short: The Coming Retirement Crisis and What To Do About It. It is a terrific and short book, always a plus, on how and why the retirement picture has changed so dramatically in just 30 years and the simple, straightforward steps we can take as a nation and individuals to fix the crisis. As usual, the show will air on Public Television this Friday and over the weekend that follows. 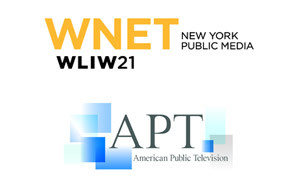 You can check your local listings here. If it’s easier for you to watch the show online, it’s available to our PREMIUM viewers right now. Otherwise, it will be available on our website over the weekend. On EXTRA this week, I ask Ellis why he chose to spend his valuable time on tackling the nation’s retirement crisis. An exclusive interview with Financial Thought Leader Charles Ellis about “what it takes” to be the best in the business. Ellis shares fifty years of wisdom learned from advising firms and governments on where to invest. 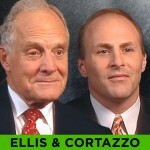 Charles Ellis is a legend in the investment field for several reasons. He was the founder and longtime head of top international investment consulting firm, Greenwich Associates. He has advised both for profit and not for profit institutions including corporations, universities, pension funds and governments, as well as high net worth individuals on their investment strategies and choices. He has taught at both Harvard’s and Yale’s business schools, served on numerous boards and authored 16 books including the investment classic, Winning the Loser’s Game. I asked Ellis why he chose his latest project, tackling the nation’s retirement crisis by co-authoring Falling Short: The Coming Retirement Crisis and What to Do About It.